It's 1965 in a tight-knit working-class neighborhood in Queens, New York, and Ruth Malone - a single mother who works long hours as a cocktail waitress - wakes to discover her two small children, Frankie Jr. and Cindy, have gone missing. Later that day, Cindy's body is found in a derelict lot a half mile from her home, strangled. Ten days later, Frankie Jr.'s decomposing body is found. Immediately, all fingers point to Ruth. As police investigate the murders, the detritus of Ruth's life is exposed. Seen through the eyes of the cops, the empty bourbon bottles and provocative clothing which litter her apartment, the piles of letters from countless men and Ruth's little black book of phone numbers, make her a drunk, a loose woman - and therefore a bad mother. The lead detective, a strict Catholic who believes women belong in the home, leaps to the obvious conclusion: facing divorce and a custody battle, Malone took her children's lives. Pete Wonicke is a rookie tabloid reporter who finagles an assignment to cover the murders. Determined to make his name in the paper, he begins digging into the case. Pete's interest in the story develops into an obsession with Ruth, and he comes to believe there's something more to the woman whom prosecutors, the press, and the public have painted as a promiscuous femme fatale. Did Ruth Malone violently kill her own children, is she a victim of circumstance - or is there something more sinister at play? Emma Flint’s fine debut is all about smashing boundaries. Once upon a time, mysteries and noir novels were not considered literary fiction. While that boundary has already been broken – think Umberto Eco’s The Name of the Rose or Michael Chabon’s The Yiddish Policemen’s Union – how about the notion that true crime can cross over into literary fiction territory? Flint, a longtime fan of true crime stories, has succeeded in melding that genre into Little Deaths, a novel about a mother accused of murdering her children. (Reviewed by Donna Chavez). Sharply rendered literary noir, compelling enough to forgive a slightly left-field resolution. Starred Review. This stunning novel is less about whodunit than deeper social issues of motherhood, morals, and the kind of rush to judgment that can condemn someone long before the accused sees the inside of a courtroom. Starred Review. Compelling ... the closing scene is a jaw-dropper ... This is absolutely absorbing literary crime fiction, perfect for fans of Megan Abbott and Sarah Waters. Starred Review. 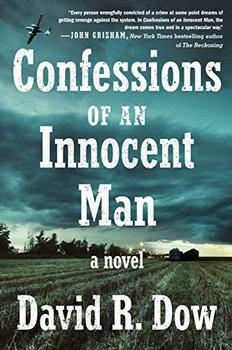 This accomplished debut novel will intrigue fans of both true crime and noir fiction. Flint, a technical writer in London, is a welcome addition to the world of literary crime fiction. Readers of Megan Abbott may want to investigate. Utterly atmospheric and with style to burn, Emma Flint's Little Deaths is a novel that troubles and transfixes from its simmering first pages all the way to its searing final words. Little Deaths is a rarity: a period piece and police procedural that is wrenching and real and deeply moving. I fell fast and hard under the spell of this lush, moody, film noir of a novel. A phenomenal achievement. Little Deaths is one of those so-very-rare accomplishments: a lightning fast, heart-pounding, psychologically resonant crime novel that effortlessly transcends genre. If you believed that literary fiction can't be a one-sitting read, think again. Deeply moody and moving, Little Deaths embodies the role of women in the sixties, especially those who dared to deviate from societal norms.